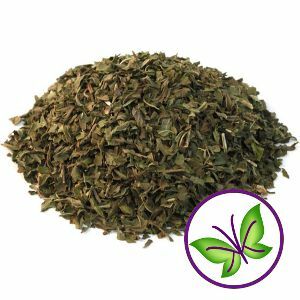 Yerba Mate is a tisane made from the leaves of a South American holly tree native to Paraguay, Brazil and Argentina. I drink mate most days instead of coffee. The energy buzz is cleaner, less jittery and doesn't have the crash of coffee. Plus, I LOVE the ritual of sharing the gourd with my husband. Yerba Mate can also be used for brewing Kombucha. Though I only recommend it for people who are ready to experiment with their brewing process. I find that blending it with tea provdes the SCOBY what it needs while passing on the health benefits of the mate to you. I definitely recommend researching more about the great benefits of drinking mate. Choose 4oz, 8oz, or 16oz for the best deal! I am from Argentina and have been drinking mate since I was a toddler. I brewed my 1st batch of Kombucha in 98. The Yerba mate/Kombucha mix is amazing! It's energizing and a great antioxidant. Can't wait to start brewing again. Bought this for my husband – he has a very demanding job and also trying to find time for his art. He loves it!!! Instant energy was his exact words.